The main plot of the movie is taken from Paycheck, otherwise the rest of the movie is not same. In Paycheck Ben Affleck creates a computer that can see future for a company in return for a huge sum of money. And after creating the computer he sees his own murder in the computer by the one who hired him to create the computer. So he sabotages (not completely as in Krrish) it and plans his escape from the impending death. Later the machine is restored and is used by the villain for killing the hero. In Krrish, Hrithik (father) creates the future looking computer and in that he sees his murder. He immediately destroys the computer. Here villain captures him and recreates the computer, which takes 20 years. Then his son comes to rescue him. Villain sees that in the recreated computer and tries to murder his son. The computer and its operation also looked quiet similar in both the movie. Movie also uses method of navigating the computer that reminds that of Tom Cruise's handling of the computer in Minority Report. 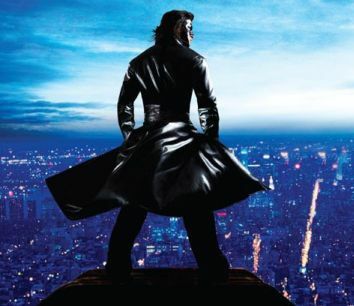 Also poster and clothing of Krrish is very much similar to the poster and clothing of Underworld (2003). This movie is a sequel to Koi Mil Gaya (2003). The story starts where it ends in Koi Mil Gaya. Rohit (Hrithik) after made powerful by Jadoo is the talk of the whole world as being exceptionally gifted person. He is called by a scientist and billionaire Dr Arya (Naseeruddin) to create a computer that can see and tell future, which will be used for the betterment of human kind. Rohit agrees and works hard for two years to fulfill the dream. After the computer is finished he sees his own future in it. He sees that Dr Arya wanted the computer for his own personal gain and is going to murder him. Feeling deceived he destroys the computer but is captured by Dr Arya who want to recreate it using Rohit's notes. Rohit is declared dead to the world but kept alive in Arya's captivity. On hearing Rohit's death his wife dies of the shock leaving behind his new born boy Krishna (Hrithik again). Krishna inherits the superpowers that his father had (mental), but also has physical powers that was not present in his father. On seeing this her grandmother (Rekha) fears that some one will again misuse his power and she will loose him like his son. So she takes him to a small remote village in mountains very far from the rest of the world. There Krishna grows up getting more and more powerful with time. One day he meets Priya (Priyanka) who had come in the mountains for adventure sports. She lived in Singapore and is a TV reporter. There Krishna falls in love with her. On reaching back to Singapore she and her friend plan to call Krishna to Singapore and advertise his super skills on their TV show for higher TRP ratings. She calls him from India on the pretext of her loving him. Krishna comes to Singapore after promising his grandmother that he will never let the world know about his powers. In Singapore Priya tries to capture him on video doing super skills, but he always make it out clean. Meanwhile Priya also falls in love with him. During a circus show over there a fire takes place and few kids are stuck behind fire. Here Krishna faces the decision of saving them or breaking his promise made to her grandmother. As a way out he takes up a mask under the name of Krrish, and save the kids. This way a masked hero Krrish is born. Meanwhile Dr Arya is also in Singapore trying to recreate the computer, and is almost done. One of the employee of Arya (Sharat Saxena) is also Rohit's friend, and knows all about Rohit and his captivity. He sees Krishna in Singapore and recognises him. He tells him all about his father. Now Krrish is on the way to rescue his father. Meanwhile Dr Arya sees in the recreated computer that Krrish is going to kill him. He tries many things to change his future but fails. In the ends Krrish kills Dr Arya and return back to India with his father and Priya. 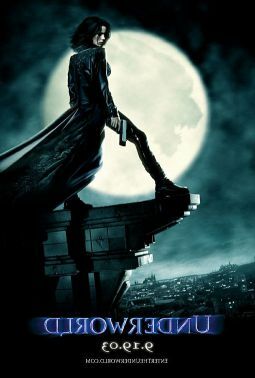 All in all a good movie to watch in which Hrithik plays a super hero.